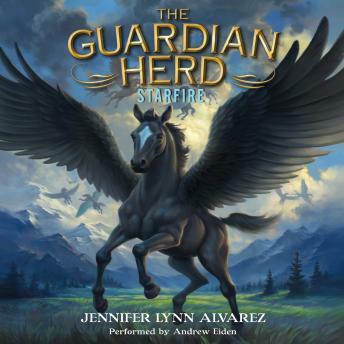 Riders of the Realm author Jennifer Lynn Alvarez “will lift the reader on the wings of danger and destiny, magic and hope”* in this first book in an action-packed fantasy adventure series. Perfect for fans of the Warriors and Guardians of Ga’Hoole series. Once every hundred years, a black foal is born, prophesied to either unite or destroy the five herds of winged horses that live in Anok—fated to become the most powerful Pegasus in all the land. Even though Star seems harmless because he’s unable to fly, the leaders of each herd aren’t willing take any risks. So, they plan to execute Star before his first birthday. With the threats against him mounting, Star must rely on his friends and the untapped power within to win an epic battle between good and evil.